Onions add essential flavor to almost any dish, whether it's a sauce, main dish, or salad. They are one of the humblest "superfoods," full of vitamins and nutrients but generally inexpensive, which is why they're also one of the most widely eaten ingredients in the world. Here are some onion hacks that will elevate your dishes, improve your household, and make your life easier. I'll first go over a few ways to use onions for things besides eating, then I'll move onto a few tricks when cooking with onions. 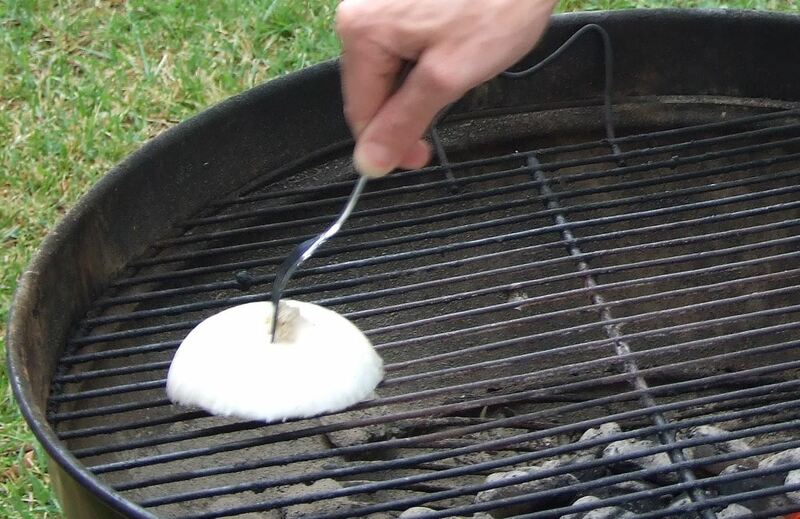 Instead of relying on chemical cleaners, clean off your grill with half of an onion. Turn the heat onto high and then rub down the grate with the onion. The moisture and natural antiseptic qualities of the onion give the grill a good cleaning. It also adds a nice flavor to the food you cook on it. It might seem strange since onions themselves are usually thought of as smelly, but they can help clear up musty odors and bad smells by absorbing them. Get rid of odors and mustiness in basements and shoe closets by cutting an onion in half and leaving it there overnight. When the onion smell fades, you'll find that the other bad smells are also gone. The worst thing about leftover avocado is the rapid way that they brown. 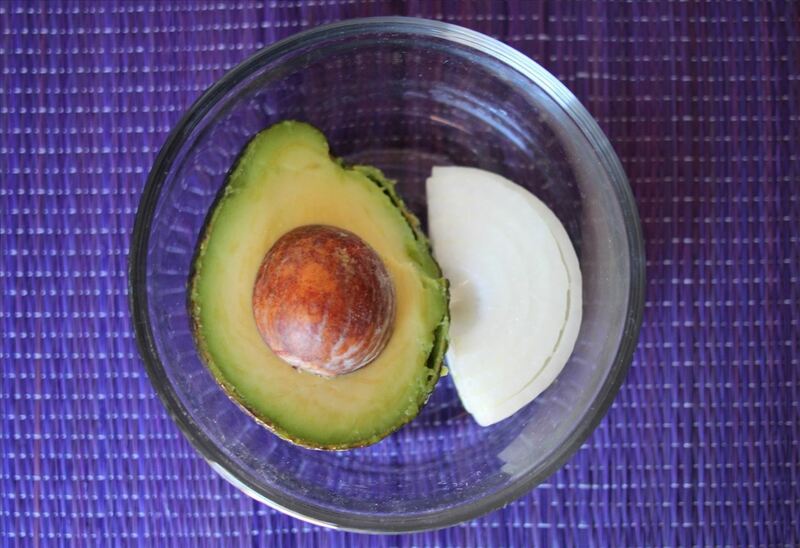 It's an enzyme in avocado that causes the flesh to oxidize and brown quickly when exposed to air, which is why it's only the top layer (and not the stuff underneath) of a cut avocado or a bowl of guacamole that becomes a sickly brown color. For perfectly round eggs, slice onion rings and use them for frying. 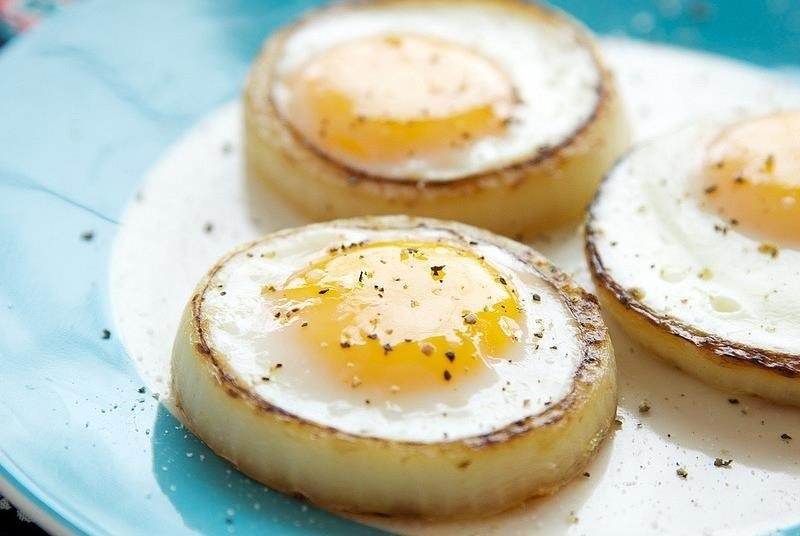 They make gorgeous sunny-side eggs with a nice, onion-y flavor. Get the full tutorial here. I love my mandoline slicer for thin, even slices, but sometimes you don't want or need to dirty up another gadget. 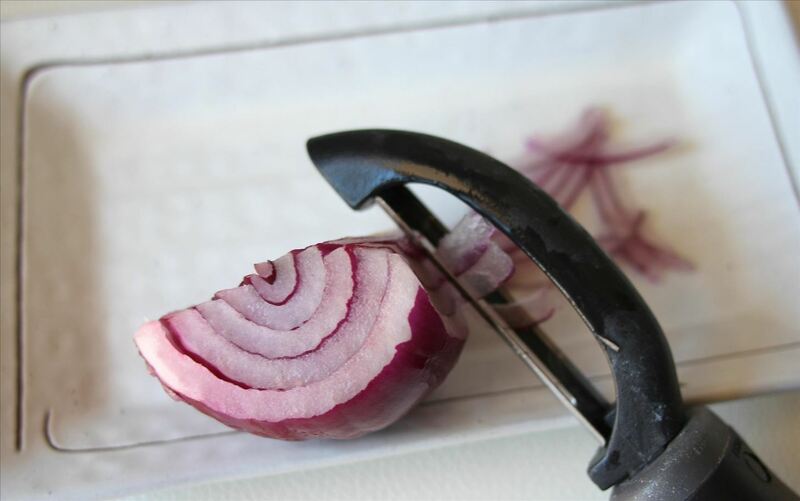 When you just need a few slivered or shaved onions, use an onion peeler to create razor-thin red onions for salads or garnish. Caramelized onions add a sweet and savory flavor to dishes, but it takes long cooking to bring out their depth and sweetness. 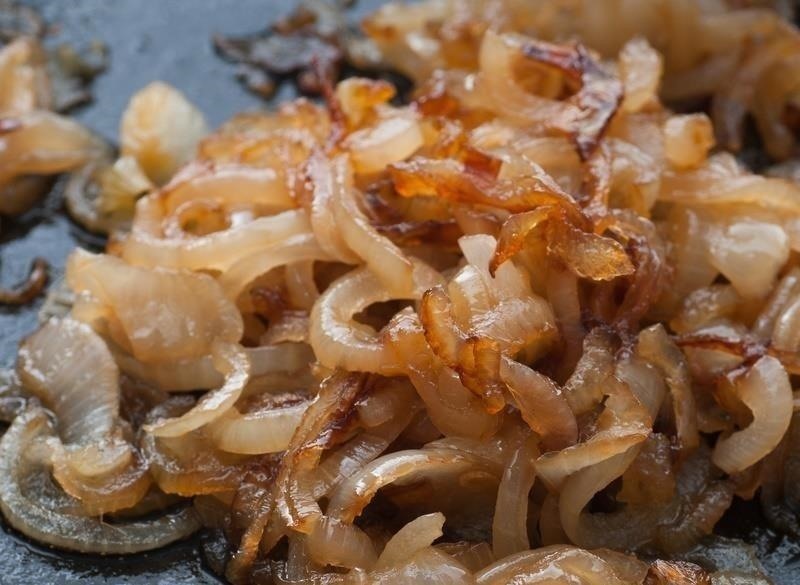 Here's a trick to caramelize onions faster with a pinch of baking soda. 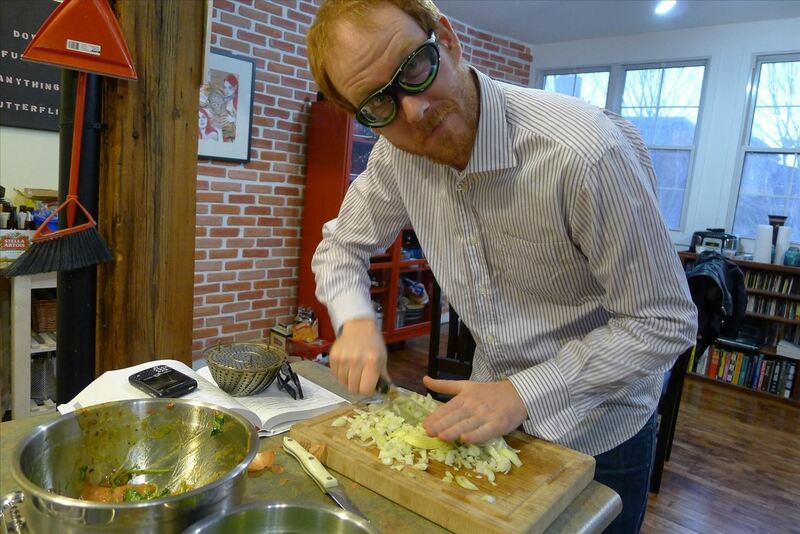 Everyone has their own method for avoiding tears while chopping onions, from freezing the onions beforehand to wearing swim goggles. This guide covers the most effective methods so that you can find one that works for you. We have to cut onions all the time at my work. It's rough for a while, but then you get used to it. Love the fried egg idea, that would work so well in a breakfast muffin.